Here at The Equine Connection our belief is that the invisible, felt, or sensed, places within ourselves, are essential, like the air we breathe. Our passion is to follow the horses and nature’s silent messages to connect with these invisible parts of ourselves. We invite you to visit with aspects of yourself you may never have even met, to trust the intangible pieces of your life. By ‘hearing’ the imagery Mother Nature and the horses’ body language offer, we touch places within ourselves that are difficult to express with words. These experiences deepen the intimacy we can feel with ourselves. Life becomes more meaningful. Come connect with yourself through one of the offerings here at The Equine Connection! 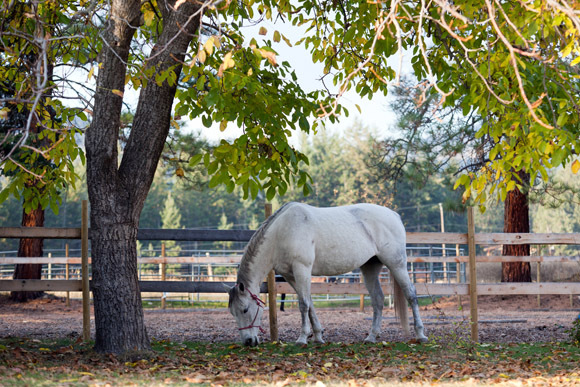 The Equine Connection, located on an eight acre property, is in a peaceful, rural setting just 10 minutes from downtown Vernon, BC. The Equine Connection offers a variety of equine-assisted learning opportunities. Women are invited to join us at our fabulously nourishing and trans-formative retreats. Businesses are offered team building sessions, and individuals can access individual sessions ,as well as our wellness workshops. We will custom-make self-development workshops for any group wanting to expand their self-awareness. Our services also include traditional counselling. 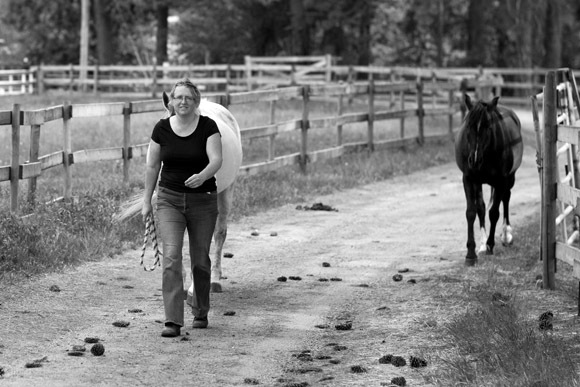 Equine-assisted learning and therapy offers a compelling journey of clarity and understanding. Horses are powerful teachers who instantly respond to actions, body language and the energy of the participant. Horses can inspire our dreams and awaken our spirit. The focus of equine-assisted learning is not riding, nor horsemanship, but self-development. It takes place out of the saddle and on the ground. Individual counselling is offered by Wendy Elrick, while groups are facilitated by both Wendy, and a co-facilitator. 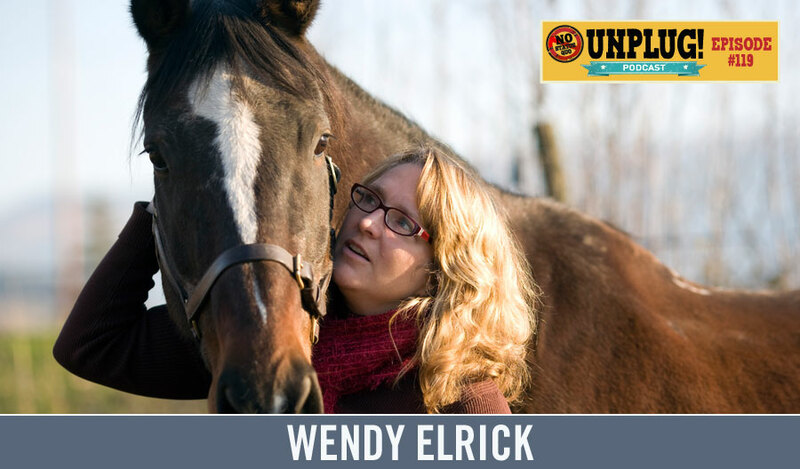 Wendy Elrick is a counsellor with a Masters degree in Human Services. She has been working as a counsellor for over 25 years. Her experience includes working with both children, and adults, as well as families, and groups. Wendy’s experience includes trauma recovery, supporting people as they expand their self-awareness, and teaching life skills to honour the whole of us – our emotions, thoughts, spirits and bodies. 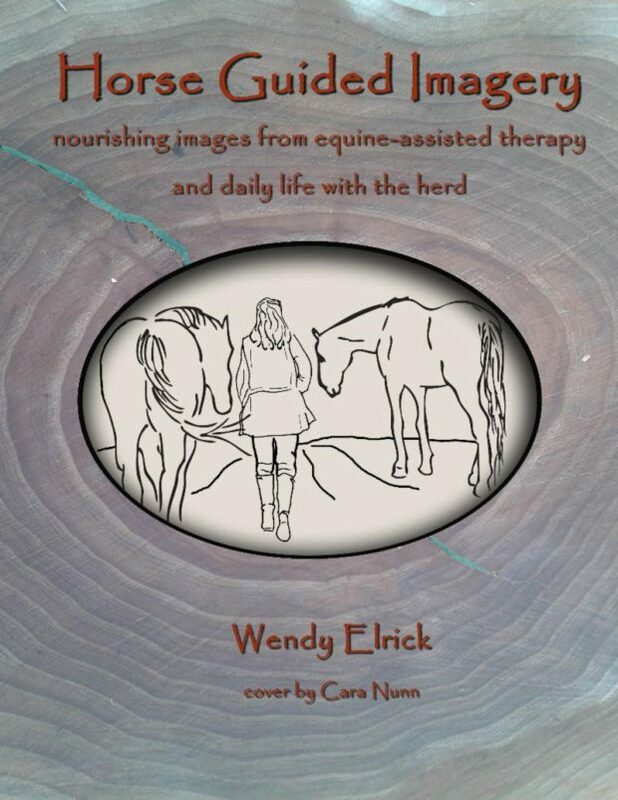 Equine-assisted therapy groups are facilitated with a horse professional – Cara Nunn being our primary horse professional. All of the horse professionals working at The Equine Connection have extensive experience handling horses and live with their own horses. The role of the horse professional is to take very good care of the safety aspects of being with horses. 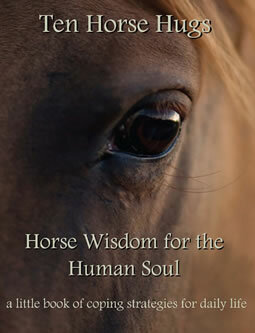 It is a pleasure to work with women so committed to personal growth and who have a deep respect for horses. The herd at The Equine Connection is largely geriatric. Due to the age of the horses, we usually bury a horse body each year. While the horse is no longer physically with us, their Spirit is often tangible. Chunky – the silent mentor, teaching us lessons about inclusion and the importance of eating! Little Joe (passed January 2019) – our teacher of the value of vulnerability and the importance of hugs! Three of our horse friends died in 2009: Amos (age 30), Tia (age 40) and Socks (age 29). We are very appreciative of all the gifts they offered the many people who were lucky enough to work with them. Many people will remember our loving, four-legged helpers. In March 2013, Athena left us. Although her life was short, she left a lasting impression on all who worked with her. In March 2015, Amiga was freed of her chronic pain and left us knowing her baby girl was in the capable care of Vienna. In September 2015, we said good-bye to Sadie, whose presence is still tangible. In 2016 Sunny passed on. We miss her humour. Zaza ensures the property is as mouse free as possible, as well as very well guarded! 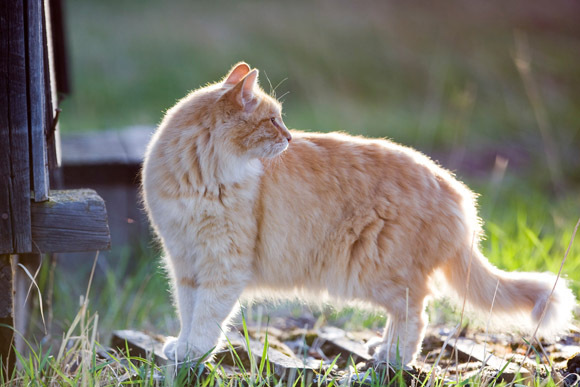 Hektor lives in the cottage and fiercely protects his territory! Pumpkin died during the summer of 2012. He will be remembered for his excellent cuddling abilities. Rest in peace my friend. In 2013 we had to say good-bye to Pretty Boy. He will always have a place in my heart. He trusted us enough to embrace domesticity, despite being a wild guy. Marble left us in 2017 after nine years of participating in the work done here. In August 2014, we welcomed Elfje into our family. Elfje was only with us for a year. Similarly, in 2018 we buried Makita, who also only lived a year.